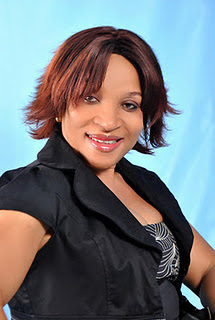 Ailing Nollywood actress Ngozi Nwosu who left the shores of Nigeria to the United Kingdom for an important kidney and heart transplant surgery on the 26th of February, 2013 has returned home. According to her publicist, Ngozi Nwosu who has successfully completed series of kidney and heart transplant surgeries has been certified to return home. Though she has been scheduled to visit UK in the next 2 months for a routine medical checkup, the veteran actress has been linked with certified doctors in Nigeria who will be monitoring her condition. Thanks to Lagos State Governor Fashola and fans who rallied round the actress. God bless Gov Fashola and thoes dat helped her financially.I wish her Goodhealth. Am really happy for u for d successful surgery. May thy lord b with you. glory be to almighty God. iam very very happy for u. thanks to BRF. I really Thank God for the healing, am so happy! and to out there that has contributed in one way or the order, may God bless you all. and the government of Nigeria and Africa should improves the health care system for the citizens. people are suffering in that continent. @ riri Why don’t you thank God for her life irrespective of the financial source and leave Igbo people alone.Which tribe is perfect and who made you a judge huh? Anyway anty Ngoo may God’s name be praised for a successful surgery.As par those who assisted her,may God replenish and grant all your heart desire asap IJN. I Thank God Almighty for the perfect healing upon her life i have been wooried about her and I dont want to hear about any Actor or actress death again.And for those that contributed in one way or the other may God reward them abundantly.